Jami D. Pifer, is a licensed Speech Language Pathologist. 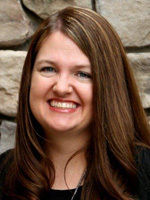 She graduated from Idaho State University in 2003 with a Bachelor of Science degree in Speech Language Pathology. Jami then obtained her Master of Science degree in Speech Language Pathology in 2005. Since graduating, Jami has worked primarily with pediatric patients in both the outpatient hospital and private clinic settings. Jami has experience working with children with a variety of medical diagnoses including Autism, Attention Deficit Hyperactivity Disorder (ADHD), Down Syndrome, Cognitive and developmental delays and learning disabilities. During the last year, Jami has been a team member of the first multi-disciplinary Autism Evaluation Clinic in the state of Idaho. This clinic provides comprehensive assessment and evaluation of individuals on the autism spectrum in the areas of developmental pediatric psychiatry, neuropsychology, psychology, social work, speech pathology and occupational therapy. Jami enjoys working with children with articulation/phonological disorders, receptive and expressive language disorders and stuttering. Jami joined Northwest Neurobehavioral Health in September of 2010.